The mission of Bragg Middle School is to prepare a responsible, educated student to adapt and be successful in future endeavors. We will accomplish this by providing a creative, meaningful curriculum implemented by an innovative, competent staff in a safe, orderly environment which is conducive to learning. 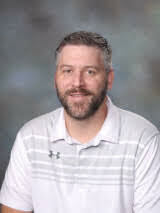 We would like to officially welcome Mr. Ryan Griffin to Bragg Middle School. He was approved by the Board as our new Assistant Principal. He is coming to us from Gardendale High School, where he served as the 12th grade Government/Economics and AP Gov/Econ teacher. His office is in the 6th grade building. We are glad to have him join the family!